Let’s face the bad news – over time, we all get old, and our skin is following the same trend! Although this seems to be an evident and straightforward fact, many of us (including myself) sometimes prefer to bury their head in the sand and pretend this is not true! But it is. I am no longer 20 years old. I have given birth to three kids and see the effect on my skin before and after being a mother. I am not here to complain. I am here to spread the good news. We can proactively support our skin condition by taking different steps – some of them easy to do, others requiring taking some action. Today you will learn how to improve your skin elasticity naturally and be happy with the result! It’s not hard, you just need a bit of willpower and to switch to a proactive mode, following some basic rules. At what age does skin lose elasticity? How to make skin elasticity test? What are the best foods for clear skin? 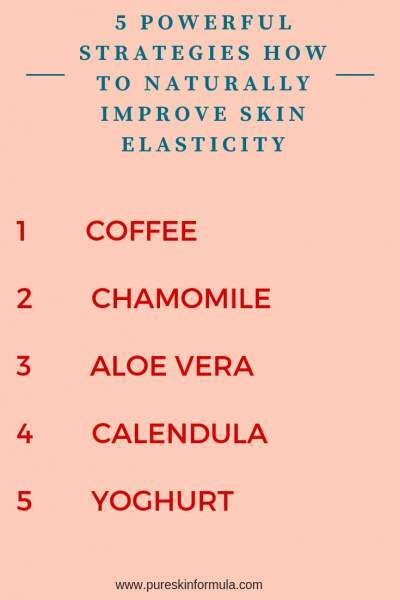 5 powerful strategies on how to improve skin elasticity with natural ingredients. Do cosmetic products improve skin elasticity? Does vitamin E tighten skin? 4. What we apply on our skin to protect it and take care of it. The good news is only the first factor is entirely out of our control, as we are born with our genes and have to live with them, irrespective we like them or not. The second factor is mostly within our scope to shape it. But let’s say it loud – it’s hard to change our sleeping habits, sporting patterns or drinking/smoking preferences. Life gets in the way, many people have a family, kids, job and a whole bunch of other everyday issues to solve. So what’s the easy solution then? It is In the last two factors! We can entirely steer them in a way that they work the best possible way for our skin, and even compensate the “bad hand” we might have received from the genes’ lottery and inappropriate lifestyle. Just as an example – I have dehydrated peeling skin, as this condition becomes outrageous in the winter time. Still, I have my methods to keep it moisturised and soft, but more on that a bit further in the text. Today I will focus my attention on the two factors we can control. But before I touch each of them in more detail, set’s first clarify in simple terms. The main components that keep the skin elastic are the collagen fibres. They contain elastin, which in our early life holds the epidermis tight. 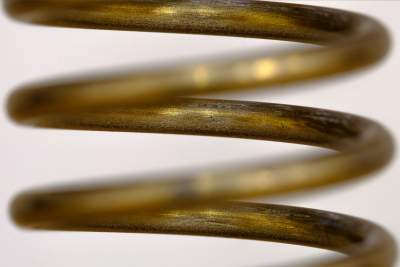 Elastin receives moisture and other valuable compounds from the cells. 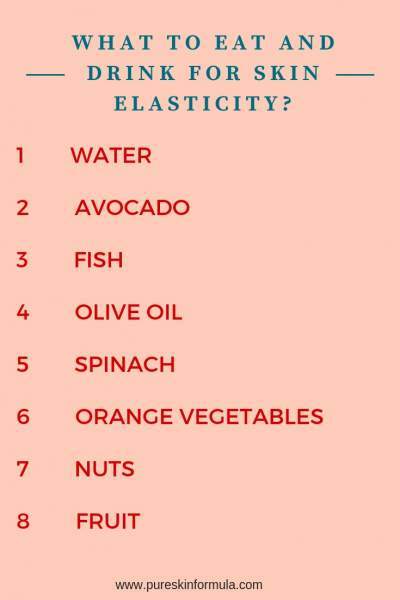 Over time, elastin loses its ability to keep the water inside it, which reduces its elasticity level. The effect might be sagging skin and wrinkles. What should we know about collagen itself? Collagen is a protein which holds our body together. It plays an essential role in the substitution of the dead skin cell. Collagen is approximately 30% of the total protein mass in the organism. We can find it in our joints, muscles, bones and our skin, making it tight and dense! Our body produces collagen naturally since the latter plays an essential role in our health. When collagen levels go too low, this might result in health issues, one of them being reduced skin elasticity. The collagen production decreases when we are getting older. Other than ageing factors to destroy collagen are UV sunlight, smoking and excessive sugar intake — these three ones we can control. If you ask yourself: how can I improve my skin elasticity, as a first step start protecting yourself from the harmful sun rays, and reduce/quit smoking and sugar. Usually, the process starts at around thirties, and especially for us, women, it speeds up when approaching the menopause. Collagen synthesis will start diminishing around the forties, while severe drop at sixties. But the word “age” has not only its narrow, literal meaning of our calendar, passport age. 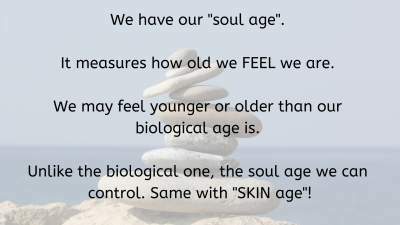 We have our “soul age”, as well. It measures how old we feel we are. We may feel younger or older than our biological age is. Unlike the biological one, the soul age we can control. The same is with “skin age“. We can take action steps to manipulate it in a way our skin looks younger, shinier and healthier than expected, based on our official age. Is there such a thing as a sudden loss of skin elasticity? In my opinion, there are always signs that give us a hint about the processes in our body. We have to “listen” to our organism and take precautions. Still, there are situations in our life, when we might experience a significant change – like post pregnancy recreation time or following a weight loss diet. In these cases, sometimes our skin cannot keep up with the sudden changes in the body. If for example, the weight loss is extreme, one could suffer sagging skin, while getting used with the new size. essential, cheap and quick steps might bring you amazing results! Loss of skin elasticity could be a clinical sign of dehydration, and when squeezed, your skin slowly gets back to its normal position. Pinch the back of your left hand with the thumb and the forefinger of your right hand. If your skin needs a few seconds to reposition back, it could be a sign of decreased elasticity and hydration level. Now you know simple, yet useful skin elasticity measurement method. Having said that, let’s go through the ways we can reduce the damages the life leaves on our skin, or push that process further in time. I will share with you my list of 8 best foods/drinks for skin repair, that keeps my skin hydrated and elastic! May sound pretty straightforward, but you cannot imagine how many people don’t drink enough water on a daily basis! Do you think drinking water is a piece of cake? Really? 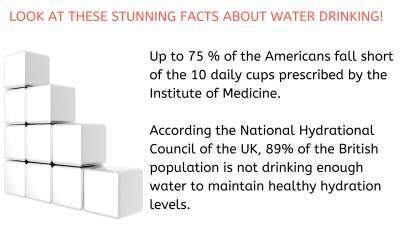 Just have a look at the statistics of the National Hydrational Council of the UK, showing that 89% of the British population is not drinking enough water to maintain healthy hydration levels! And see this – up to 75 % of the Americans fall short of the 10 daily cups prescribed by the Institute of Medicine – which, in medical terms, means that most people in the U.S are functioning in a chronic state of dehydration! And don’t tell me you drink enough liquids, as you drink coffee, juice, soda or beer. You should have your daily intake of plain water, having on top of this all other beverages! whether on the office desk, in my tote bag, or on the kitchen plot at home. This is how it reminds me I have to empty it (a few times) till the end of the day. Tip: Add a piece of lemon in the water. It will make it tastier and will increase the metabolism. What’s the relation between water and skin elasticity? Simply put, your skin cells consist primarily of water. You should always give your skin the “fuel” it needs to function correctly. No need to advertise how precious ingredient is avocado (and avocado oil)! It is rich in fibres, vitamins A, B, C, and minerals, like zink, iron, copper, magnesium, potassium, folic acid. It is full of antioxidants and reduces the oxidising of the body. Antioxidants preserve the moisture in the skin, keeping it young and elastic for a long time. Avocado oil is high in monounsaturated fats, like oleic acid, which is an omega-9 fatty acid. You can also find it in other amazing oils, like olive oil, peanut oil, grape seed oil, sunflower oil, sesame oil. You can quickly prepare at home effective masks with avocado oil for your natural skin care. No surprise here – salmon, sardine, herring, trout, anchovy and other types of fish are rich in omega-3 fatty acids which support skin cells and reduce skin infections. Some seafood (like tuna, sardine, oysters, clams, halibut, shrimp, salmon, crab) are rich in selenium, which supports the production of elastine. Is olive oil good for your skin? Hands down, olive oil is a real classic! We could hardly find such a universal oil. We can eat it, keep a fire with it and maintain our skin! When we treat our skin with olive oil, it stimulates the production of this type of collagen, which is responsible for keeping the skin younger! 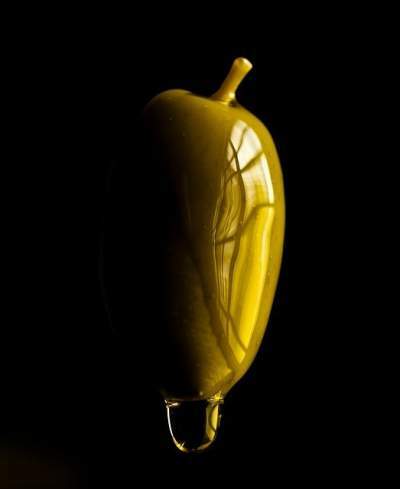 I mean a fraction of lipids, called “Olea Europaea Oil Unsaponifiables”. This fraction contents a lot of anti-oxidants and vitamins. How to improve skin elasticity on the face? Prepare a natural face exfoliant, mixing olive oil with sea salt or coffee. Carrots contain vitamin A, which successfully fights against free radicals in your cells and supports collagen production. Not to mention beta carotene – a pigment that does wonders for the growth of skin cells and your vision! You could enhance the effect of carrots, using carrot seeds oil. Do you remember the cartoon character Popeye the Sailor and his spinach power? Well, that’s not fiction! Spinach is rich in treasures like potassium, calcium, magnesium, vitamins A, K, C and E. All those protect your skin and keep your immunity at high levels. This group is among my favourite ones that I often use, as nuts and seeds are undoubtedly foods good for skin. Why? They are vitamin (A, B, E) bombs, enriched with fibres, minerals, omega-3 fatty acids and monounsaturated fats. These “bombs” are another “weapon” you can use to oppose the damage of the cells, to hydrate your skin, make it more elastic and defend your body from free radicals. Do you love eating almonds, cashews, macadamia nuts, hazelnuts, peanuts, walnuts? If yes, just keep on doing it! Are you worried about gaining weight, eating nuts? No need to worry about this, as they don’t significantly affect weight. You better eat them raw versus roasted, and of course, don’t overeat with nuts! Sometimes a few nuts in the morning or a couple of them added in your salad in the evening would be just fine! Most probably you are not surprised at that bullet in the list. I’m not reinventing the wheel claiming that we should use fruits to improve our skin as they are rich in vitamins, fibres and minerals. But if you want from time to time to “replace” water with another liquid, it could be a fruit juice. Not to mention you can use fruits in some homemade skin care masks. Well, let’s sum it up for that part. If you want to eat food that will help your skin elasticity, and have healthy skin complexion you should drink water and eat avocado, fish, olive oil, spinach, orange vegetables, nuts and fruit! Easy, delicious and cheap! Not bad at all isn’t it! Now, as we’ve been through what can we do inside our body, let’s explore what options we have to take action on the surface of our skin. Why coffee? It contains three critical compounds: caffeine, chlorogenic acid, and lipids. What they do is breaking down fat in the cells, and fighting free radicals, while having an anti-inflammatory effect. Mix 7 tablespoons melted coconut oil, 10 tablespoons ground coffee, 10 tablespoons brown sugar, 1 teaspoon cinnamon. Rub the cream on affected skin areas. Leave it for 15 minutes, and rinse with water. Put the cream in a container with a lid. Use it every day, or 1-2 times a week, if more appropriate for you. Want some more ideas? Find these recipes on how to use coffee for cellulite. Another answer to the question how to regain elasticity in the skin could be to exfoliate your skin on a regular basis. The process of shedding will keep your skin smooth and shiny. You will increase the blood flow towards it, thus preserving the skin elasticity. Coffee grounds could play its exfoliating role. Mix 1/2 teacup coffee grounds, 1 coffee cup brown sugar and 2 soup spoons olive oil. Massage your skin for a few minutes and rinse wash with fresh water. You should include chamomile in your skin care arsenal. Why? The secret is hidden in the bisabolol substance. It contains panthenol, which has skin healing properties! Panthenol helps with skin sunburns and burns, cuts and wounds. It moisturises skin, improves elasticity, and has anti-inflammatory, anti-itching, and anti-bacterial effect. Sweet, isn’t it! Chamomile is powerful! Learn about these amazing chamomile oil uses for your skin! Aloe vera is a fantastic plant, and it will be a “crime” if you don’t use it for your natural skin care. The gel inside aloe vera leaves has a strong hydrating and anti-oxidant effect. Aloe vera has antiseptic properties and go deep in the skin, keeping the cells hydrated for long. Not to mention it relieves burns, sunburns, bites and stings. Include it in your natural skin care list right now. Here is a tip: You can buy gel from the store, but if you have aloe vera plant around you, take a leaf, clean it, cut it in half and extract the gel. How to tighten sagging skin on face? Apply aloe vera to your face for an hour and rinse with water. Calendula is one of best treatments for skin elasticity. It is a beneficial skin care ingredient. Whether you have a cracked, irritated or inflamed skin, psoriasis or dermatitis, calendula is the right one to help you. I will share with you a simple, quick and effective recipe for a body lotion. You need 1 teacup olive oil and the yellow flowers of two calendula flower petals. Gently wash the calendula flowers. Leave them on a napkin until they get dry. Pour the olive oil in a glass container with a lid. Add the calendula flowers and close the glassware. Leave the mixture for 3 days and filter it. Thus you will derive not only the aroma of calendula but its unusual properties for the skin, as well. There you have it! Use this lotion as much as you wish, especially on the problem areas of your skin. Calendula is safe for most people, but pregnant or breastfeeding women should avoid using it. Yoghurt can benefit your skin twice. It contains lactic acid, which calms and exfoliates skin, tightens pores and stimulates collagen synthesis. In the mornings or the evenings, after taking a shower, apply a thick layer of yoghurt on your face and leave it for 20 minutes. If you mix it with some honey, you will enhance the effect. Here is a tip for natural treating a sunburn. We all have faced a situation in the summer where we are so eager to catch a tan on the beach and forget that we put our skin under solar radiation. We are brutally reminded of that fact a bit later, experiencing the severe pain of the sunburn. Not prepared? Go to the store and get yoghurt. Apply it to the most damages skin areas to feel instant relief! Blend a slice of one watermelon, one egg white, and one tablespoon honey. Apply the mixture to the damaged area for 20 minutes. It helps! Yes, cosmetic products help especially when they include mostly natural products as herbal extracts, essential and carrier oils. Some of the reasons why they work we have discussed in the previous chapter. Professional skin care formulas include plenty of ingredients, which are mixed in optimal ratios for reaching maximum efficiency. In fact, the combination of a healthy food diet and proper natural cosmetics will bring your skin back to normal to high levels of elasticity! Here you can find more info on what is natural skin care. I’ve already mentioned you about the natural collagen in the body. But what about the collagen supplements for sagging skin that we can find on the market? Would a collagen cream benefit our skin? molecules of collagen are big enough to be absorbed by our skin. So, in the worst case scenario, a collagen-based cosmetic product will have a limited effect. Sure enough, there is no harm to use collagen cream, and just it’s good to know it might not reach the result promised. When collagen and elastin are only part of the formula, combined with natural oils and extracts, this, in my opinion, will have a much better effect on the skin. It helps with dermatitis and skin hyperpigmentation. You have to be proactive and follow the rules. Fall in love with the process, and the result will come! I would love to hear from you! Do you plan to keep your skin elasticity at a reasonable level? Leave me a comment, and I will answer you!